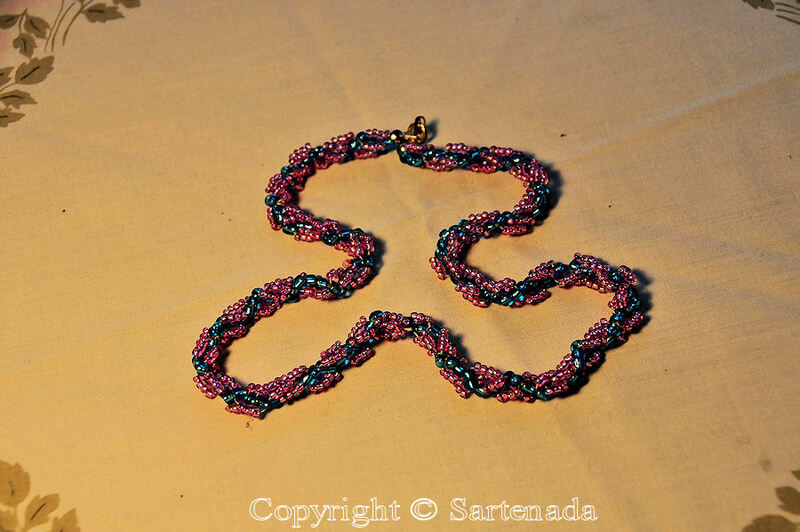 How to make a beaded bracelet? 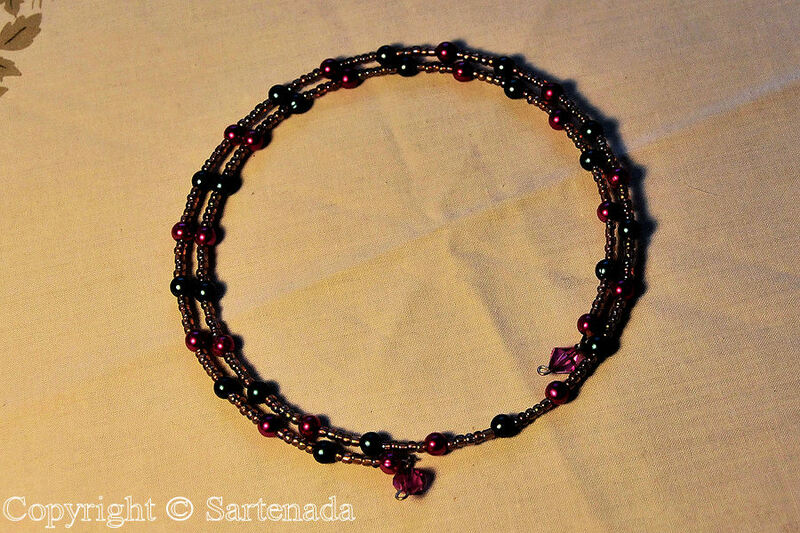 / ¿Cómo hacer una pulsera de abalorio? 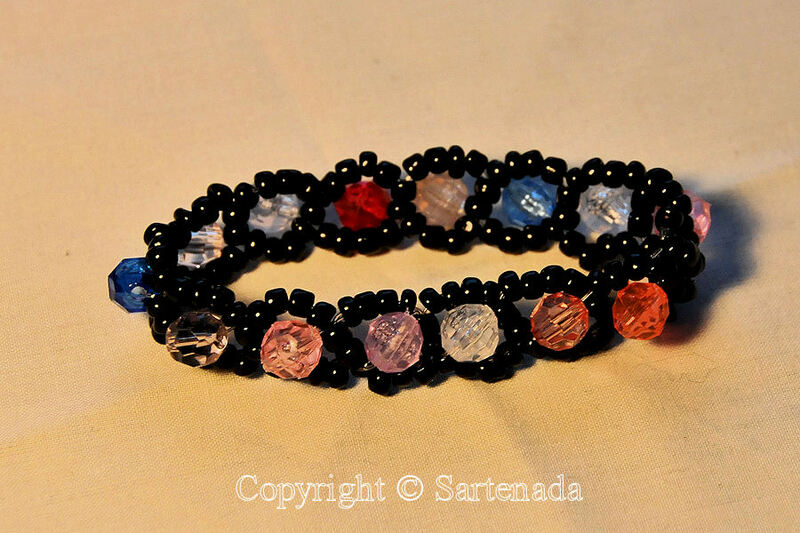 / Comment faire un bracelet en perles? 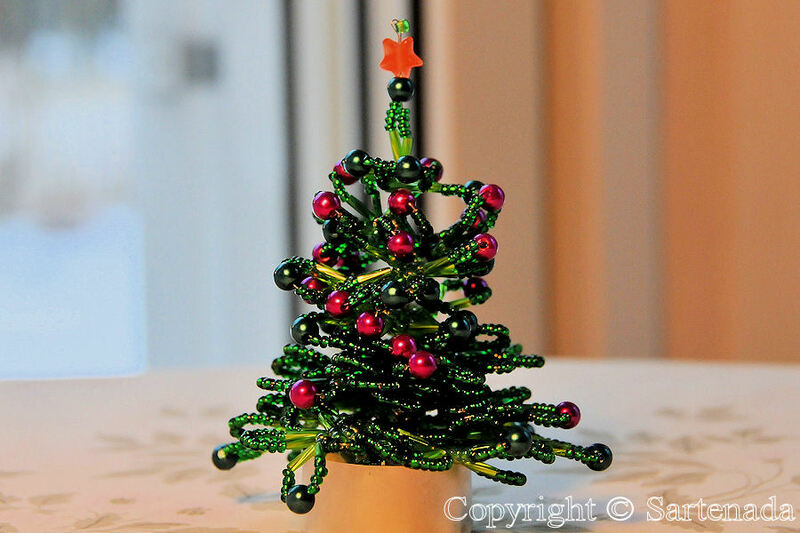 My wife has many hobbies and one in wintertime is making from glass beads bijous, like necklaces, bracelets, broches, Christmas decoration or whatever one can imagine. 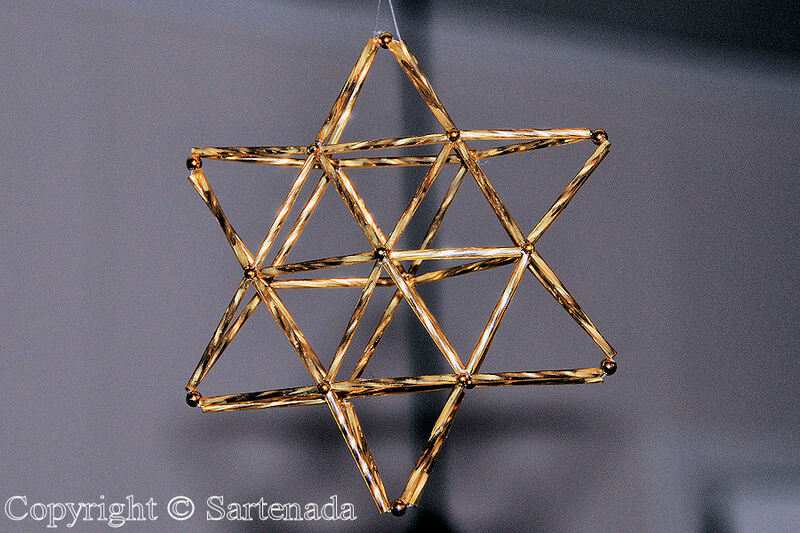 Some years ago people did not appreciate these trinkets and they said: such kind of baubles. 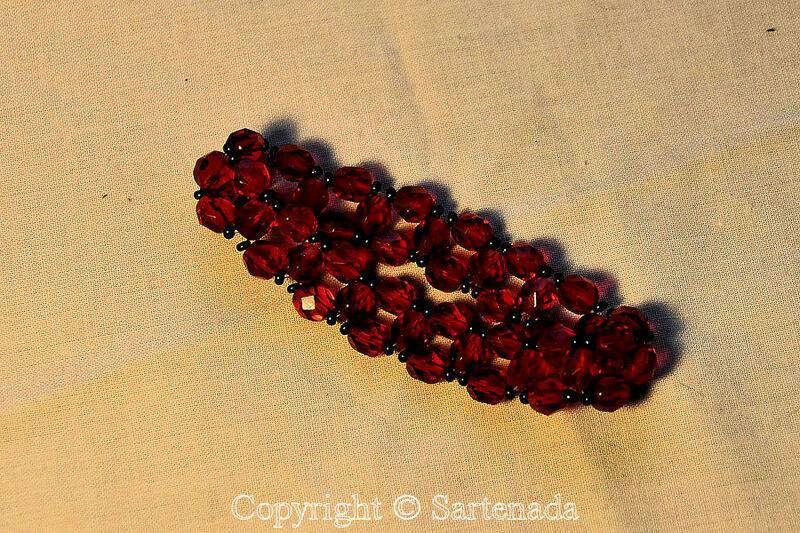 Many people have not any idea of the great variety of beads. 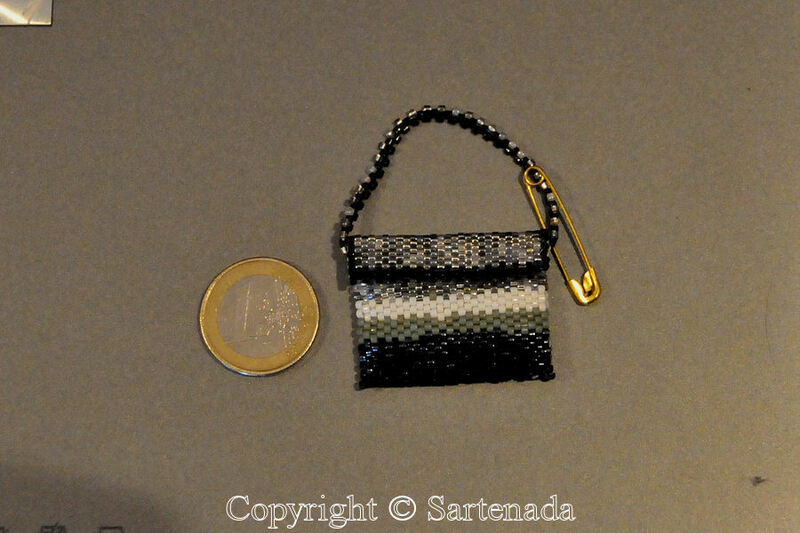 If I say the word: Swarowski, they do not know that it is high quality bead which has reflections with rainbow spectrums. Okay, then one wants to make them to go to courses is obligatory to get exact info. So did my wife also. First eleven photos are from courses in which she was participating and the rest she has made during many years. In the end You can see a Christmas tree. It took to prepare one day, when learning how it must to be made. 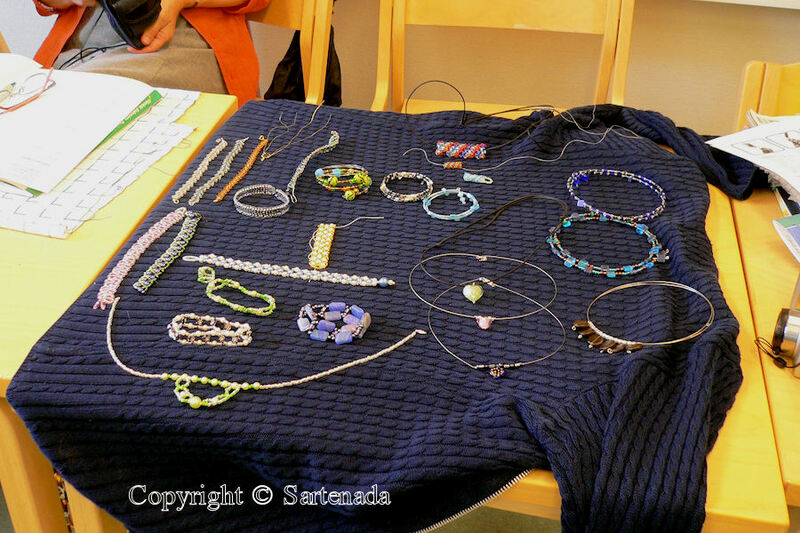 Last photo are showing some tools and beads. 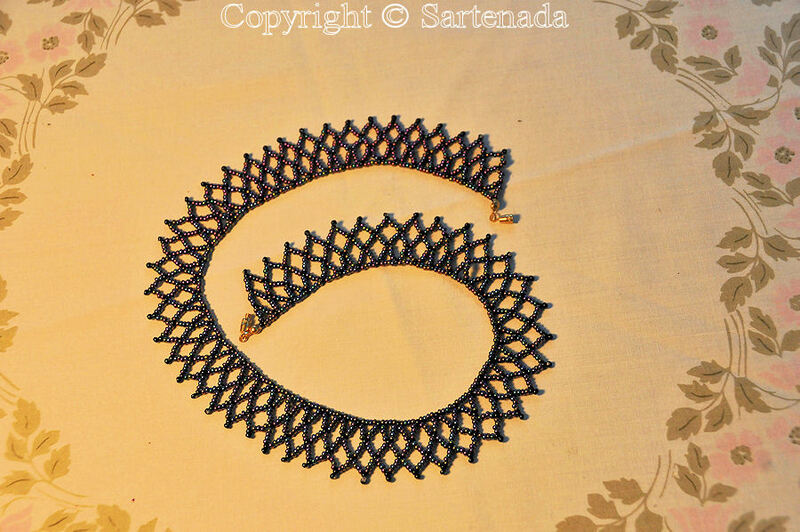 Mi esposa tiene muchas aficiones y una afición en invierno es al hacer abalorios, como collares, pulseras, broches, decoración de Navidad o cualquier cosa que se pueda imaginar. Hace algunos años que la gente no aprecia estas abalorios y dijeron: ¡que tipo de ñaques! Mucha gente tiene ninguna idea de la gran variedad de abalarios. Si se dice la palabra: Swarowski, no saben que es abalorio de alta calidad y que tiene reflejos con todos espectros de arco iris. Bueno, entonces si se quiere hacer abalorios, se tiene que a ir a los cursos para obtener información exacta como hacerlos. También lo hizo mi esposa. Once primeras fotos son de cursos donde ella y otros paricipartes mostran el “botín” de curso y el resto lo que ela ha hecho durante muchos años. 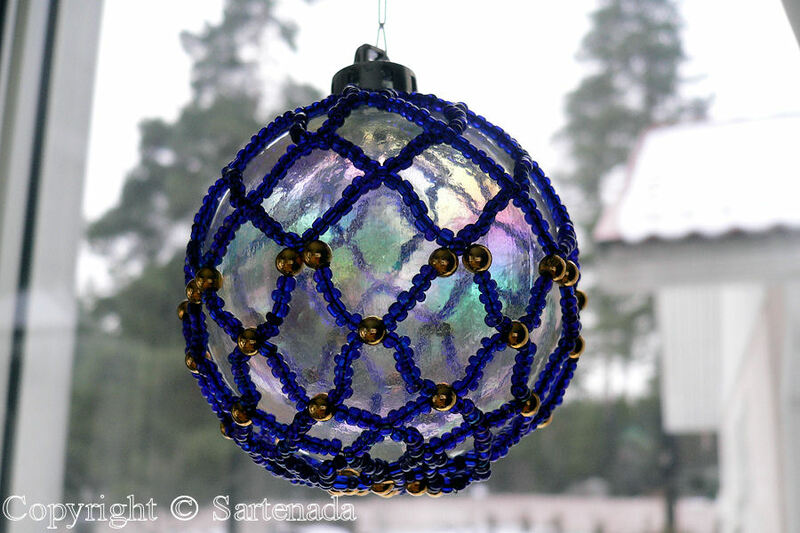 Al final se puede ver un árbol de Navidad. Le tomó a preparar un día, al aprender cómo debe ser hecholo. Última foto muestra algunas herramientas y abolorios. 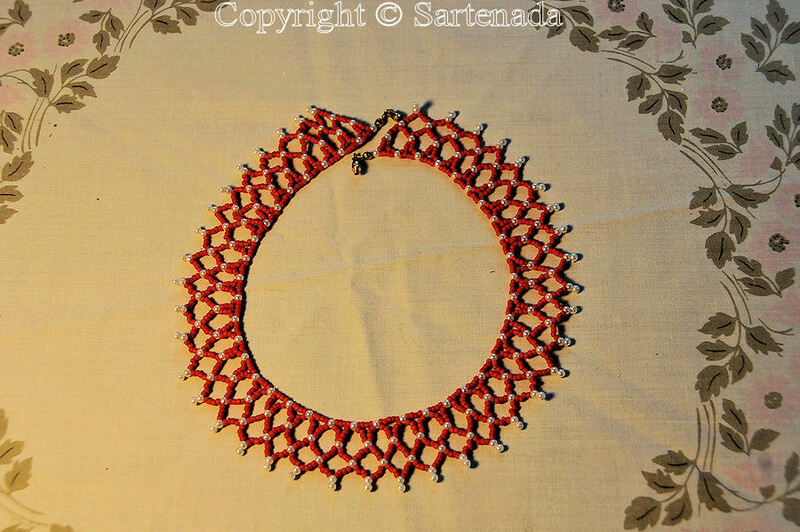 Ma femme a beaucoup de bricolages et un passe-temps en hiver c’est a faire de bijoux de verre bijous, femme des colliers, bracelets, broches, décorations de Noël ou quoi qu’on puisse imaginer. Il ya quelques années, les gens n’ont pas apprécié ces bijoux et ils ont dit: beurk, telle genre de babioles! Beaucoup de gens n’ont aucune idée de la grande variété de perles. Si je dis le mot: Swarowski, ils ne savent pas que c’est un modèle de perle de grande qualité qui a des reflets avec les spectres d’arc-en-ciel. Bon, alors si on veut les faire on dois aller aux cours pour obtenir des infos précises. C’est ainsi que ma femme aussi a faite. Onze premières photos sont de cours dans lequel elle participe et le reste, elle a fait pendant de nombreuses années. À la fin vous pouvez voir un arbre de Noël. Il a fallu á elle pour préparer un jour, en pensant comment elle doit de le faire. Dernière photo Vous montre des outils et des quelques perles. What beautiful work, your wife should be very proud of that. I love the Christmas ball and then the necklaces and bracelets in the photos just after it. Photos 13 – 21 are my favourites. Photo 13 looks like red berries, what are those stones? I would love to be able to do that. Could your wife give me an online lesson or direct me to a book? Yes, my wife is proud and specially then she is wearing something new to her job. Everybody is guessing that the new is not bought, but made by her. 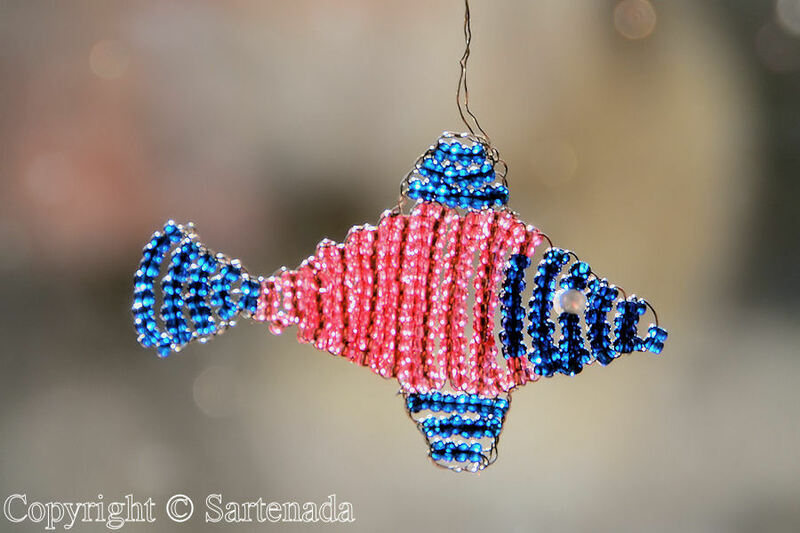 One popular is the Fish and she made them many color variations. 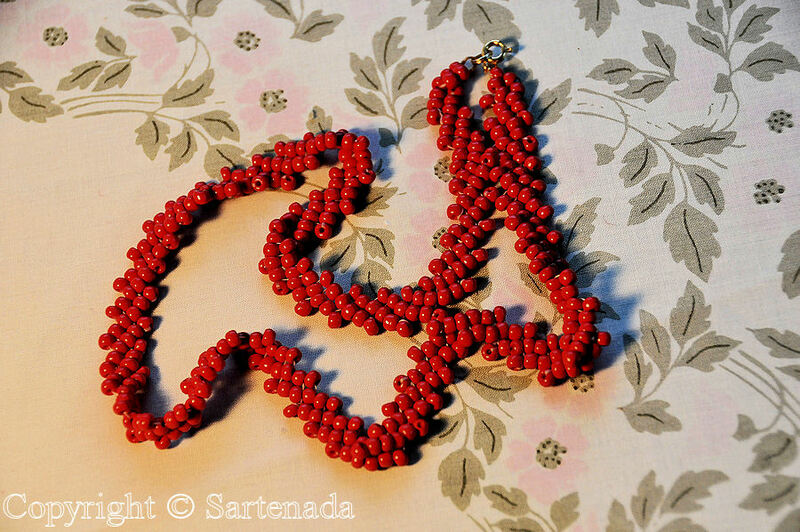 The best book she has is: The most beautiful beads. She has many books we bought fro France and Germany, but they are in French and German. 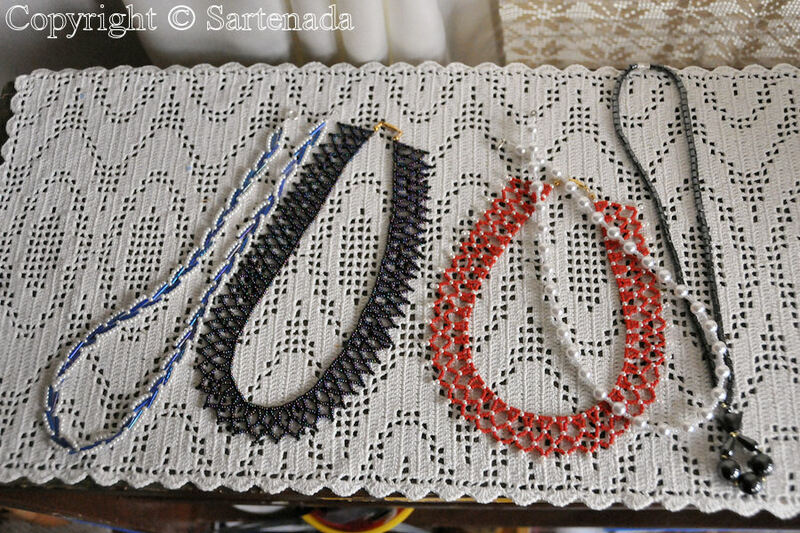 Those beads are so many kind that she do not remember which stones they are. 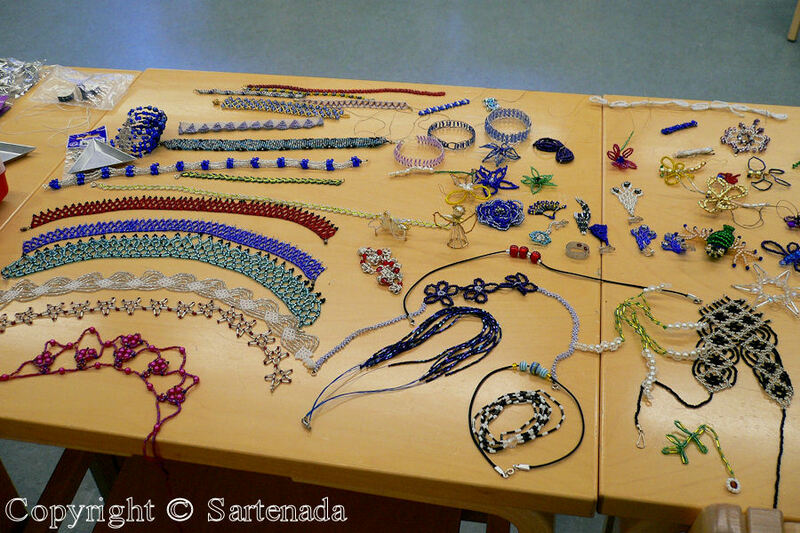 Her instructor in many courses is selling beads and they might be bought from some courses. Next course will star in May. To give instructions online is a bit difficult, sorry. 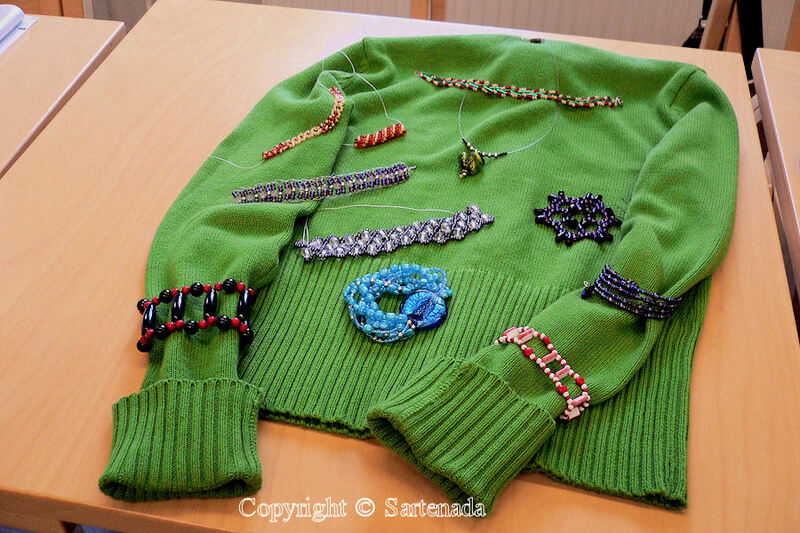 I think that Internet is full of beading blogs. 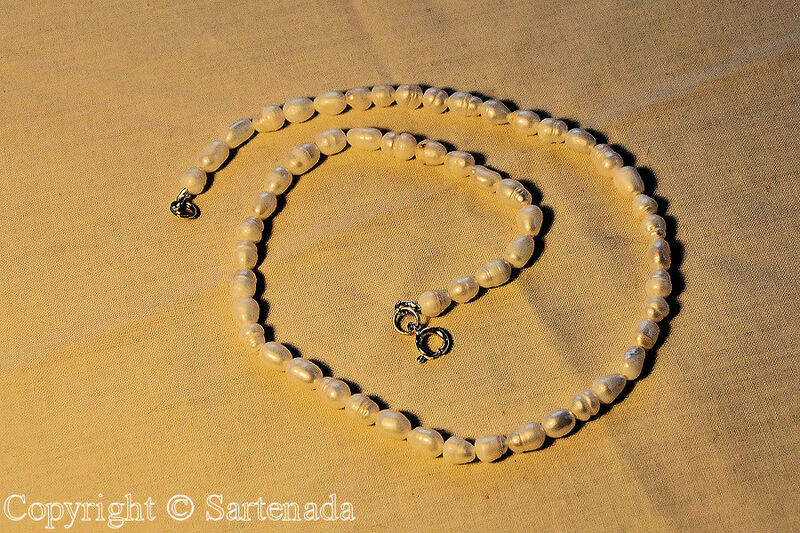 If You search, then use to search: from blogs like: Beads Blogspot. It gave plenty of results. 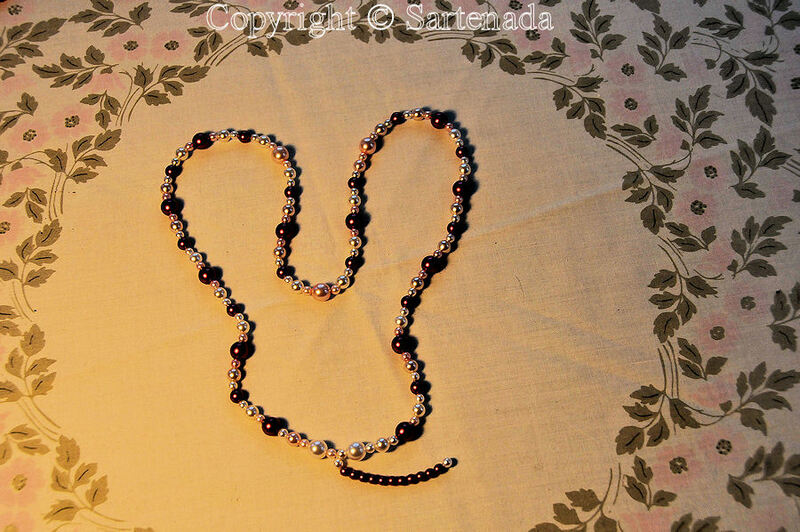 To make a better search is: Beads Blogspot instructions. You’ll surely find the best way to search. Bravo à ta femme pour son esprit créatif et sa patience. Merci pour ta balade et pour ton commentaire! 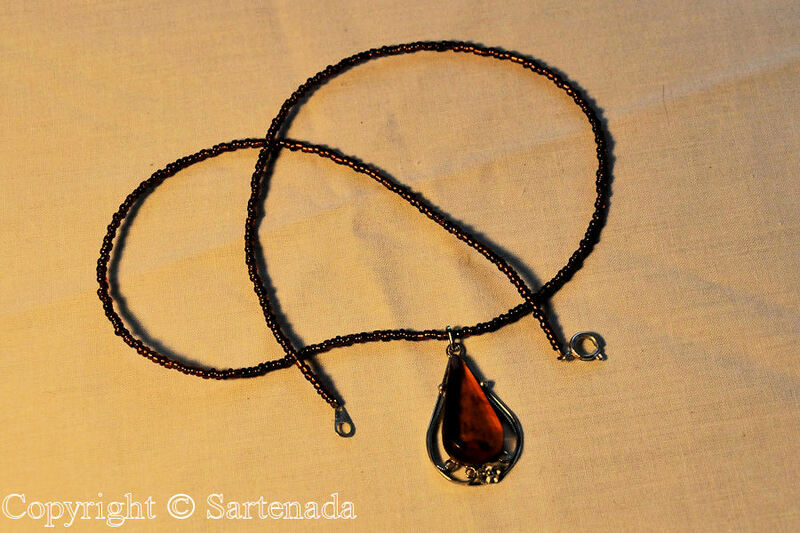 Ça me plait que t’as trouvée quelques bijoux beaux que te plâit. Bon week-end á toi aussi. the hobby of your wife is admirable, interesting and very beautiful. I appreciate that arise with how much patience and ideas such jewels. The colors are appropriately designed and exude vitality. 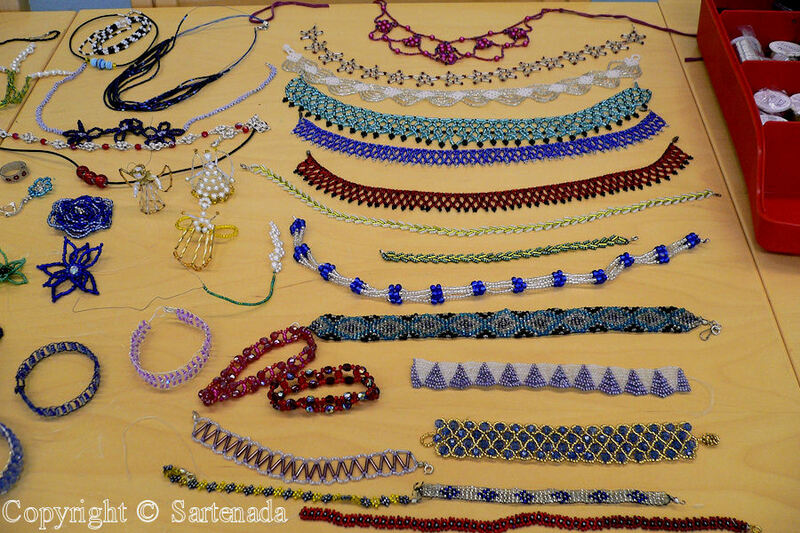 Each piece of jewelry is unique and deserves a good treatment. I wish Anja, that you still have joy from practicing this hobby. I wish you and Anja all the best for your health and daily ways. Your blog, I still try to visit. Thank you for your nice comments and congratulations yesterday. 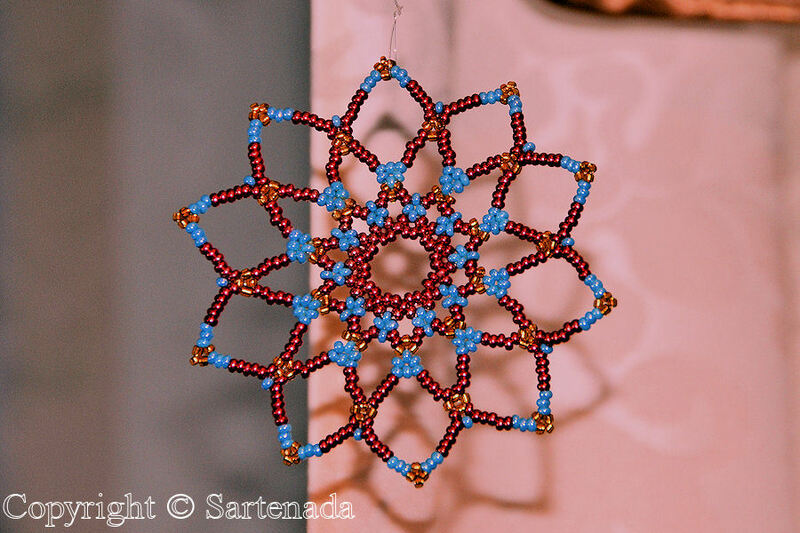 Thank You visiting here and “apprrcieting” my wife’s hobby. It really needs plenty of time, planning and perseverance. What beautiful, beautiful work! 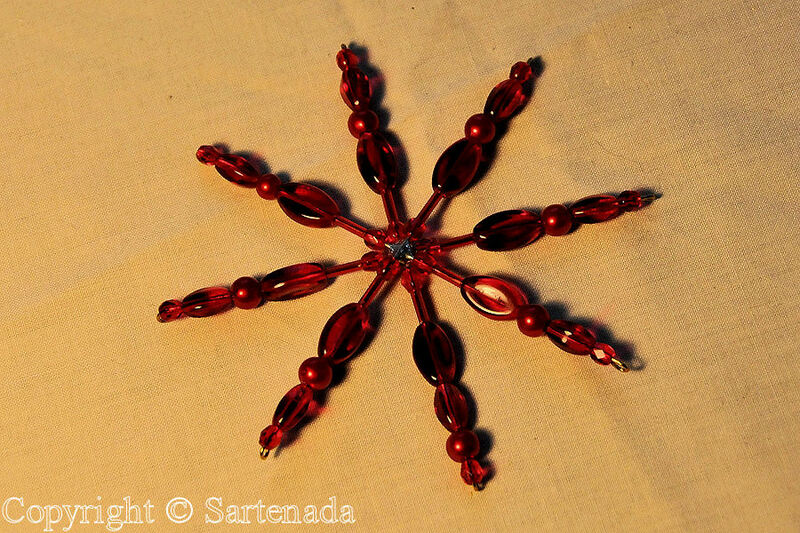 I used to work with beads creating hair ornament clips and pins for clothing. 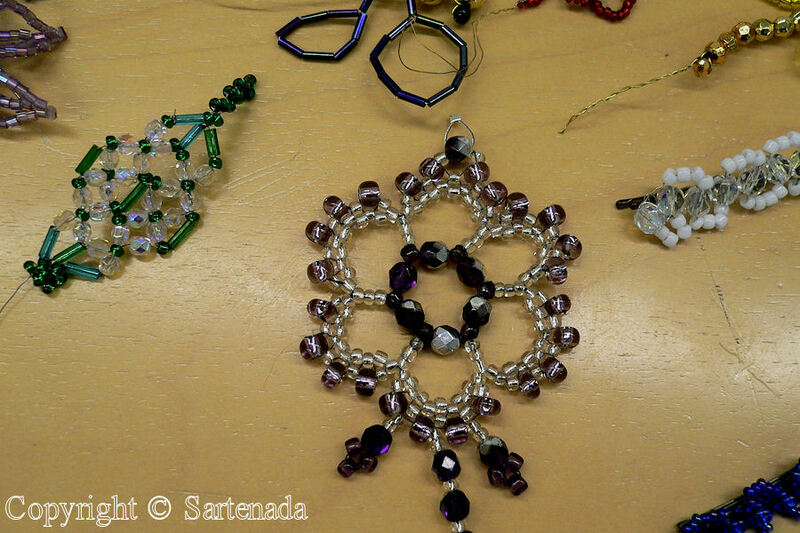 Beading is pain-painstakingly, intricate work. I admire the work your wife does and it is impressive! I agree with the comment Christel stated: “Each piece of jewelry is unique and deserves a good treatment.” What a treasure these are! 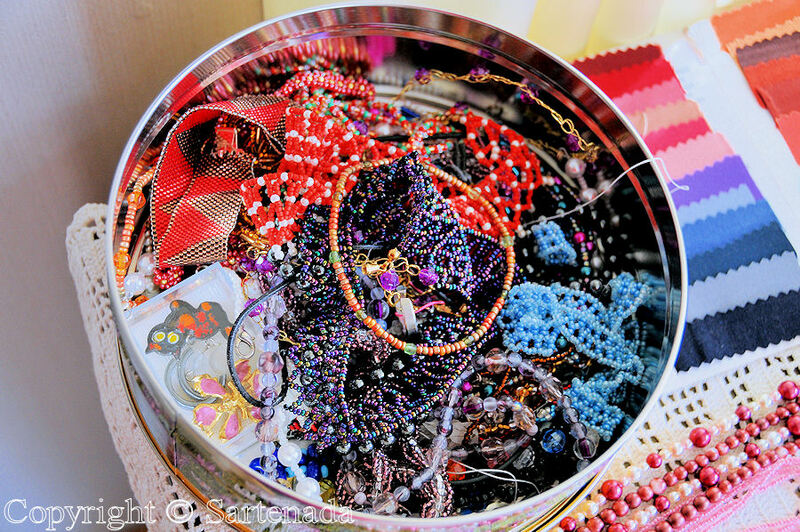 I love the second to the last photo with the tin full of bright bead pieces. 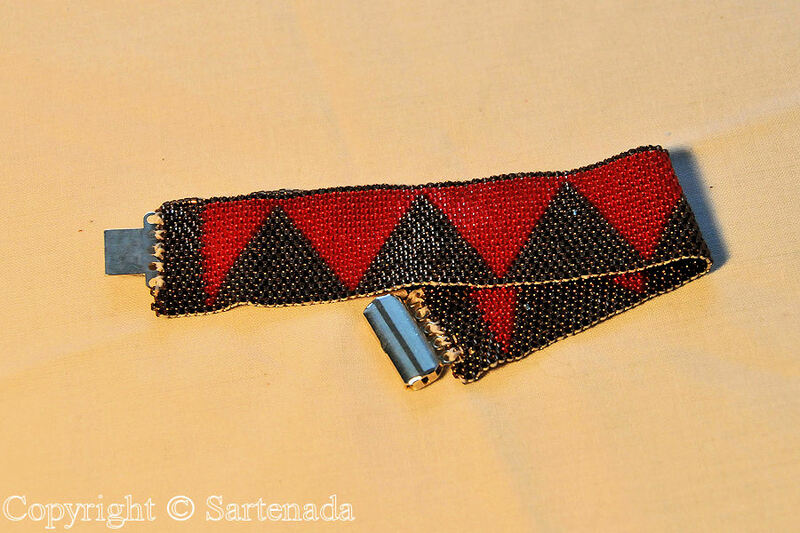 And all the photos are excellent showing the lovely pieces and details. Thank You Anna. So You know how much this hobbyt is asking from a man, but also how much it is giving back. Wow, Sean. So You got now an idea, that to make these arenot becoming ready by snaping fingers. Your wife is so crafty! It must have taken her hours to complete these projects! I wish I had that kind of patience. 🙂 Her work is wonderful! She should be very proud; as should you be! Thank You visiting for Your visit and comment. I also appreciate her and admire her ides. Sometimes they really takes time to prepare, in that You are so right. Ils sont tous beau ces bijoux en perles. Moi aussi j’en ai fait mais j’ai plus de bons yeux et j’ai plus la patience pour en faire. La peinture me calme plus. Tu les a faites auss! Chouette! Merci beaucoup pour ton comentaire. So nice. I like Your answer very much, thank You. Beading needs patience that I can say, when looking my wife’s beading. 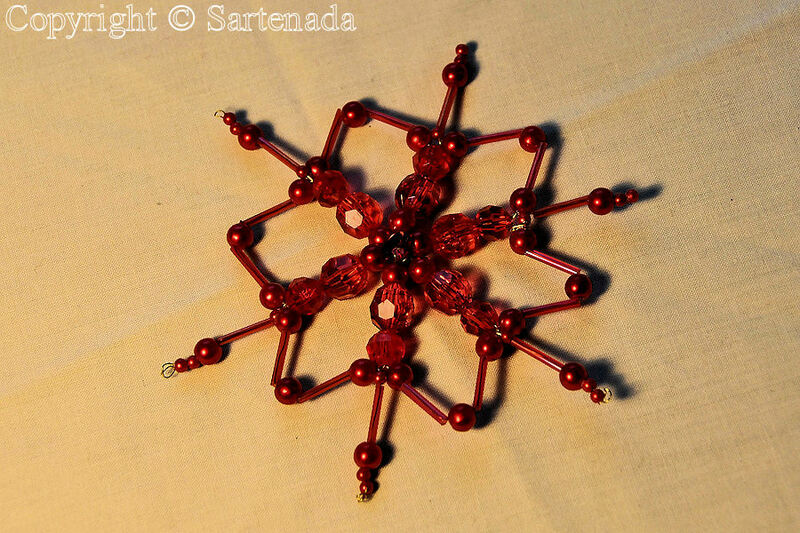 Next Year I’ll publish a new post showing what she made during last autumn. It ‘nice to see that there are people, as your wife, who create with their hands and patience. Thank You. Your selection is great. Just this morning my wife was wondering if She could make a Mobile phone case for her new mobile phone, inspired by 31b, but at this moment she decided to reject the idea, because its weight should be quite “heavy”. So, let us see what she is planning next. Merci beaucoup. Ce fut le début des passe-temps de ma femme. Elle dit que c’est un excellente contrepoids contre le travail stressant. Moi, j’aime le plus le petit poisson et a femme l’utilise avec son sac à main. 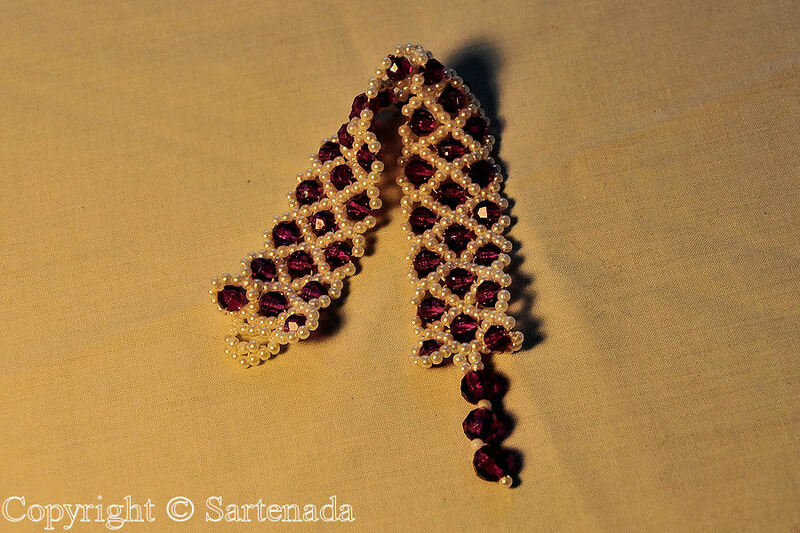 Such beautiful beadwork! 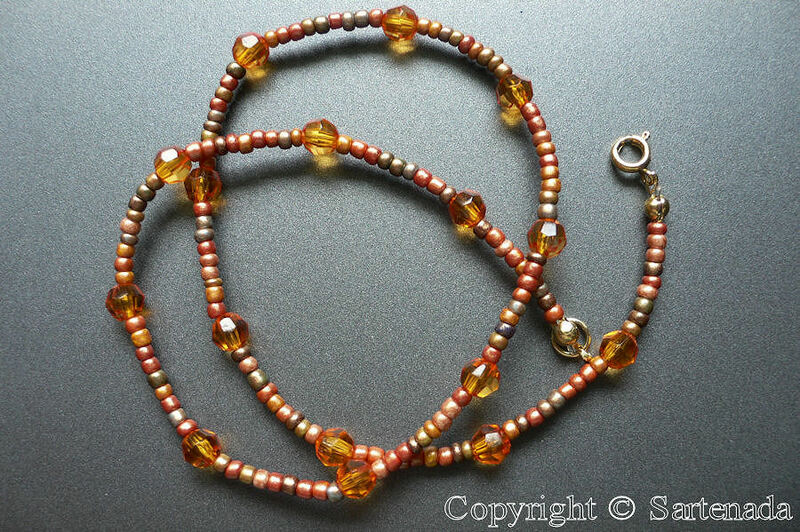 I love beads and enjoying doing beadwork also and I KNOW how much work goes into every single piece of beaded jewelry. Thank You. You are so right, was beading or quilting, their require plenty of work and perseverance. GASP!!! These are priceless works of art, Matti. Absolutely gorgeous! 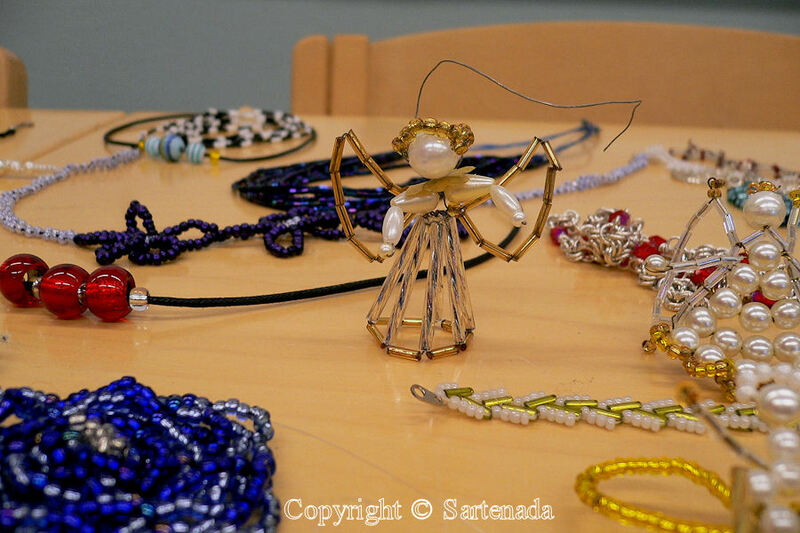 Beautiful and oh, I really love the little angel and the bracelet with the clear, yellow, and green beads! I, too, make jewelry, though mine’s not as intricately designed as Anja’s; so I can most certainly appreciate… and value… Anja’s work. She has so much to offer others! And she must have a really fun time crafting her delights, too! 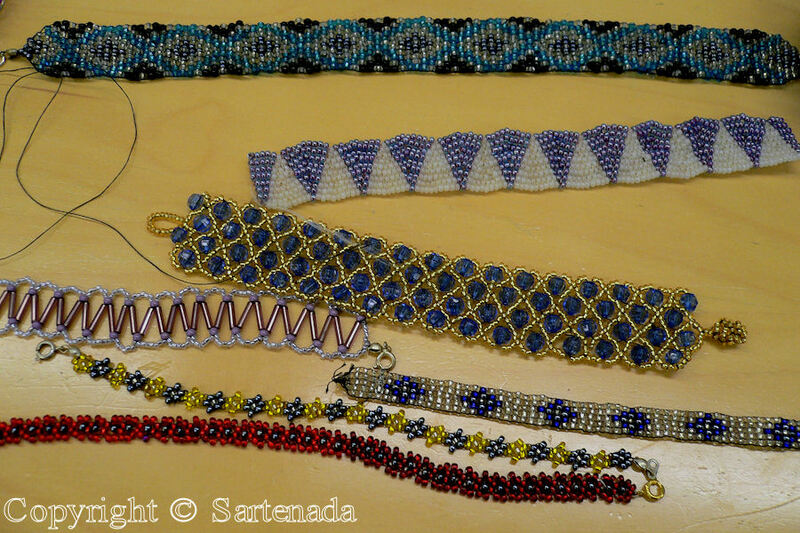 How glad I am that You love these bead works of Anja. She continues with hobby this winter and Spring going to the courses every third week. The hobby of your wife is very interesting and beautiful. Wow again, Matti! These are exquisite! Positively ornate. 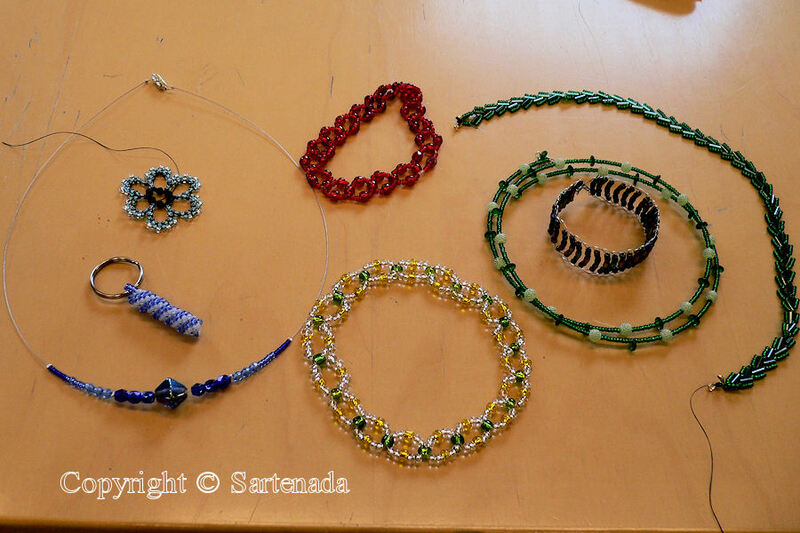 And, oh, the time, effort, and creativity Anja has invested in her jewels! One of these days I’ve gotta sit with Anja so I can watch her work on her works of art. Thank You. Beads are Anja’s jewels! 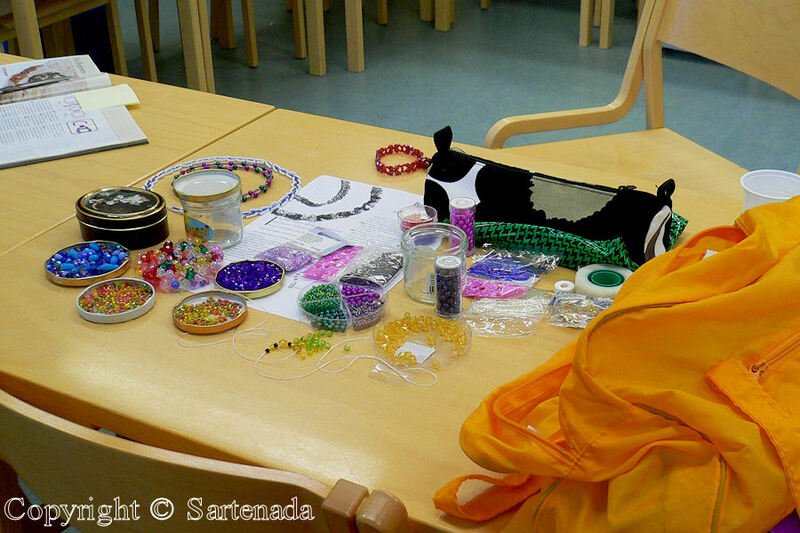 🙂 At this moment she is beading something new – she really loves beading! As others as said…your wife is talented! Beautiful pieces! Thank You for Your visit and comment. You are right about learning. My wife started by reading some books and some periodicals. 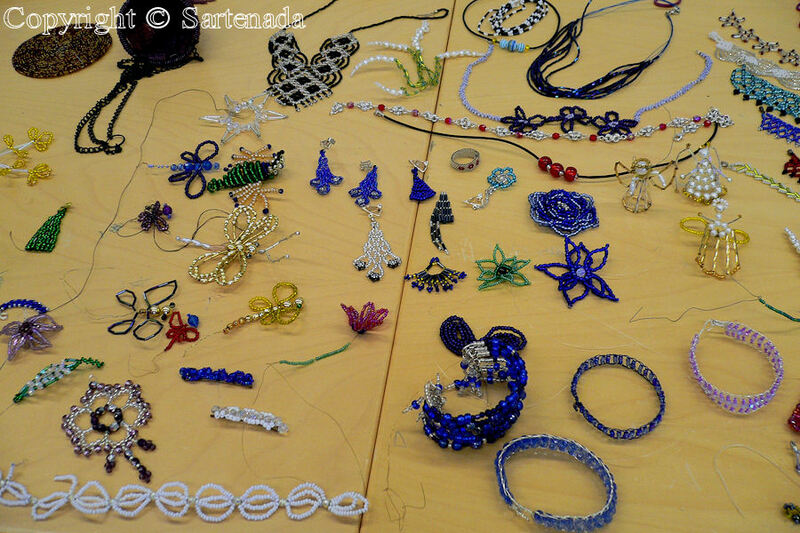 Then she got a beading course – happily. I really love the Christmas ball and the stars. Your wife is very talented. Thank You commenting my beading hobby. 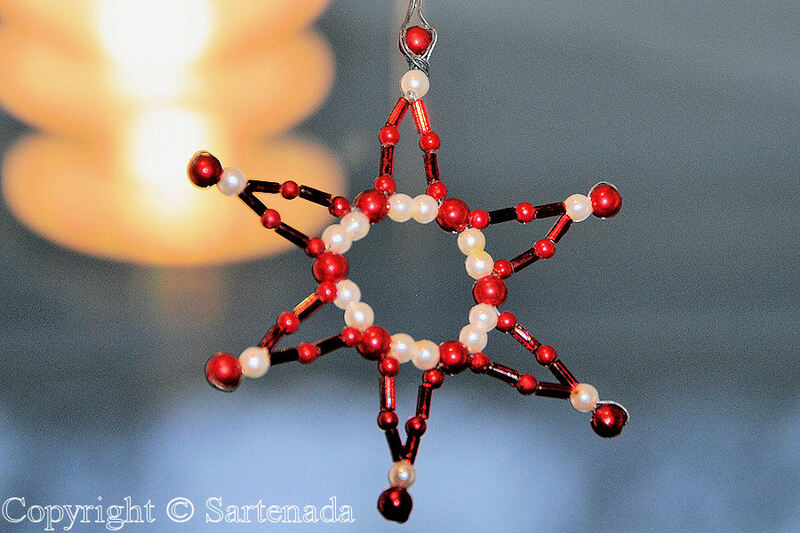 I was beading just last night, but my work is much more simple than this. 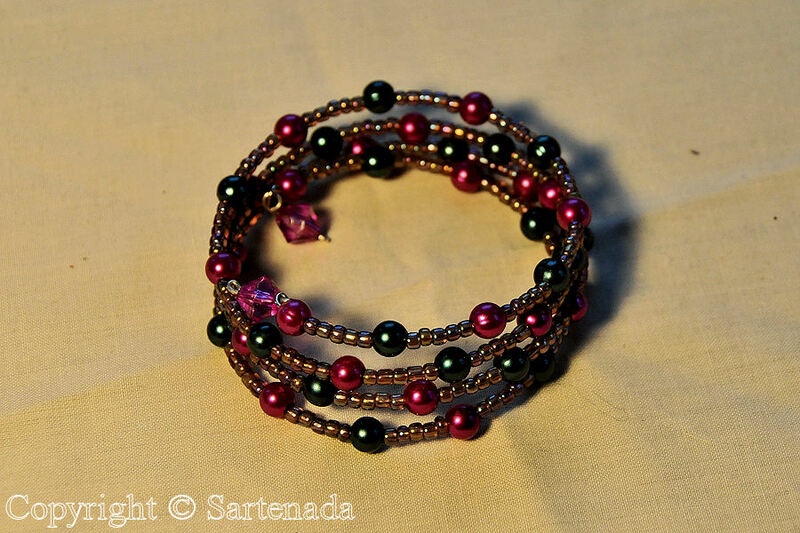 Now I am inspired to learn the Peyote stitch so I can make bracelets like your wife does. They are gorgeous and the photographer did a nice job too! 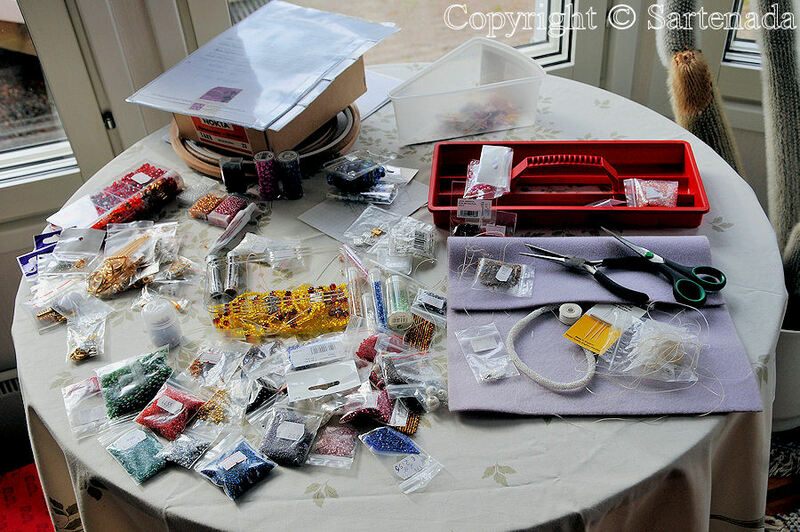 Beading is great hobby and I am very happy that You are beading also. Thank You for Your comment. Wow, I discovered this post! I appreciate the fantastic clear photos, I love the dragonfly, angels, flowers, stars, etc. I have added these posts to Pinterest and would love to link to them from my blog, if that is ok? 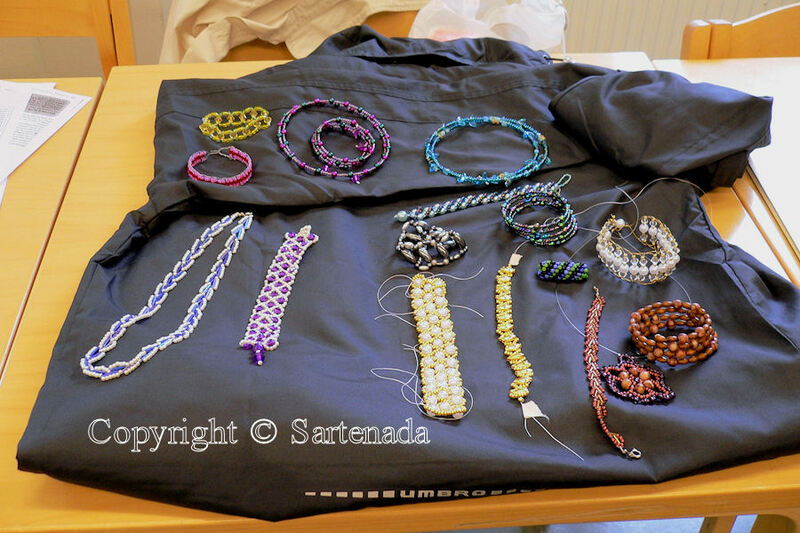 beading is great hobby! Permission granted! 🙂 Thank You.